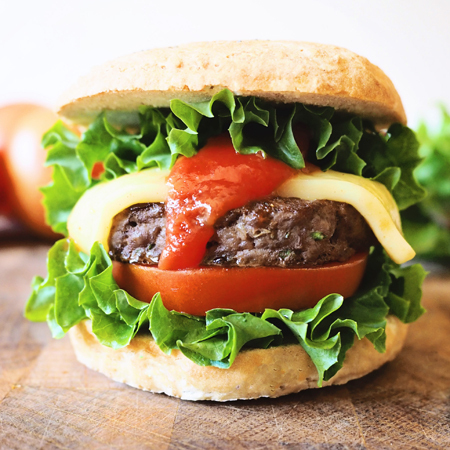 There is nothing like a homemade burger to evoke wonderful memories. The fun of putting in your favourite burger fillings then trying to take a bite out of the now too fat burger, while sauce squeezes out over your fingers…yum! Of course these versatile burger buns can also be made into different size buns for sliders or to enjoy as dinner rolls, adjusting cooking time accordingly.